The event was absolutely fantastic! This year, we had a much larger turn out than the year before. 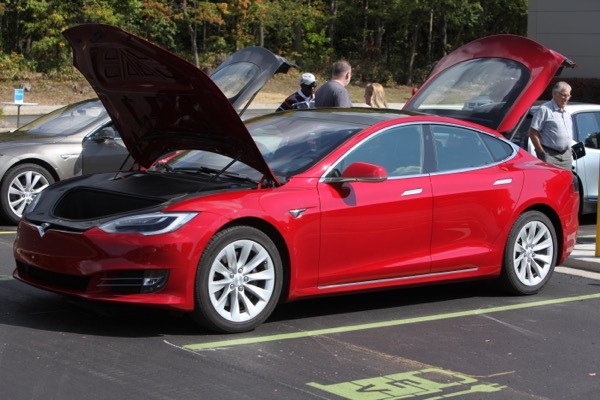 Many electric vehicle enthusiasts brought their vehicles and gave rides to many event attendees. The local Fox news station also showed up and ran a story on the 5PM news about our event. All in all, it was a great success! Freudenberg-NOK Sealing Technologies celebrates National Drive Electric Week! Join our Electric Vehicle Experience Event where there will be a number of electric vehicles and bikes on display. You will also be able to sit back, relax and enjoy the experience of select electric vehicles on our 3.5 mile route. At the event you will be able to enter to win a brand new electric bike from H.E.H. Representatives from the Clean Energy Coalition, MEAA, and OEM's will be on hand to answer questions about owning an electric vehicle. Registered attendees report 251,289 electric miles driven.